For its action Clenbuterol may be compared with steroids. Like the combination of Strombaject and Oxandrolon it contributes to the quality muscle growth that is followed by some strength growth. First of all Clenbuterol has a strong anticatabolic action, i.e. it decreases the percentage of the protein that is destroyed in the muscle cells and contributes to muscle cells hypertrophy. That’s why many athletes use Clenbuterol at the end of the steroid “course” in order to inhibit the appearing catabolic phase and keep the accumulated strength and muscle mass. The other positive property of Clenbuterol is that it has a significant protein-burning action. It burns the protein with no diet with light temperature increase of the body and due to this makes the organism use the proteins as the fuel for such a warming. Clenbuterol liquid is very popular among the professionals during the preparation for the competitions. The lipid burning is especially intensive when combined with the preparation of thyroid gland of T3. During the simultaneous use of anabolic-androgenic steroids, Clenbuterol due to its increase of body temperature strengthens the action of these steroids because accelerates the proteometabolism in the organism. Usually the athlete starts the preparation use with one tablet per day until he reaches the desired dosage maximum. There also exists a plan of preparation usage in order to avoid addiction, Clenbuterol is used two days in a raw with the following two-day pause. The duration of preparation use in any case is somewhat of 8-10 weeks. Clenbuterol is not a hormonal preparation and doesn’t have side effects that are typical for anabolic steroids, it is willingly used by women. 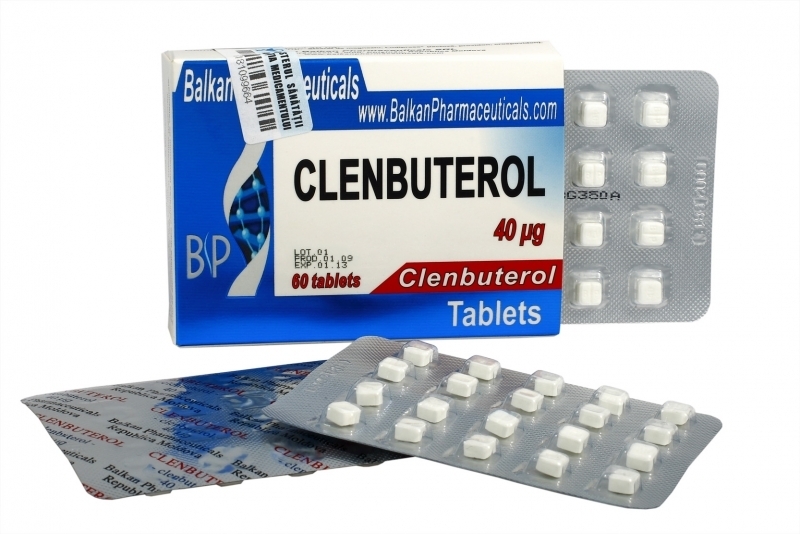 The possible side effects of Clenbuterol are anxiety, palpitations, slight fingers trembling, headaches, increased sweating, drowsiness, and sometimes muscle spasms, hypotension, and nausea. It is interesting that all these cases have a temporarily character and often disappear by themselves after 8-10 days although going on using the preparation.